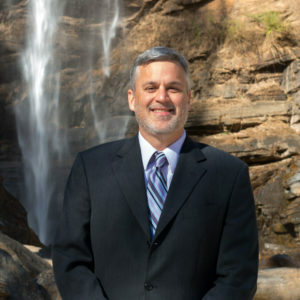 Dr. Robert M. Myers currently serves as the President of Toccoa Falls College. TFC is recognized for excellence by groups such as U.S. News and World Report, The Princeton Review, and Christian Colleges of Distinction. Since 1907, TFC’s motto has been “Developing Character With Intellect”. Dr. Myers frequently speaks and writes about the elements of Godly character and the Christian worldview. He is the author of, “No Compromise: Thoughts from a Christian College President”, and a regular blogger for The Huffington Post. He also publishes a weekly blog at robertmmyers.net and can be viewed on Vimeo, or followed on Twitter (@robertmmyers). Dr. Myers has served as a manuscript reviewer for the Academy of Management (Management History Division), a textbook reviewer for McGraw-Hill, and has been published in a variety of journals such as Informatica, Management Decision, The Journal of the Association of Marketing Educators, Florida Banker, and the proceedings of many national and international conferences. Dr. Myers has always been active in his local community serving on numerous corporate boards including the Cherokee Council of the Boy Scouts of America, Consumer Credit Counseling Service of Palm Beach County, the Treasure Coast of Florida, Inc., International Assembly for Collegiate Business Education, the American Red Cross, and the Toccoa/Stephens County Chamber of Commerce, as well as other organizations. Dr. Myers has served in Christian higher education for twenty years. During that time he has served as a faculty member, Dean of a School of Business, and Executive Vice President for Academic Affairs. Dr. Myers is married to Cheri and they have two children, Joshua and Joy. 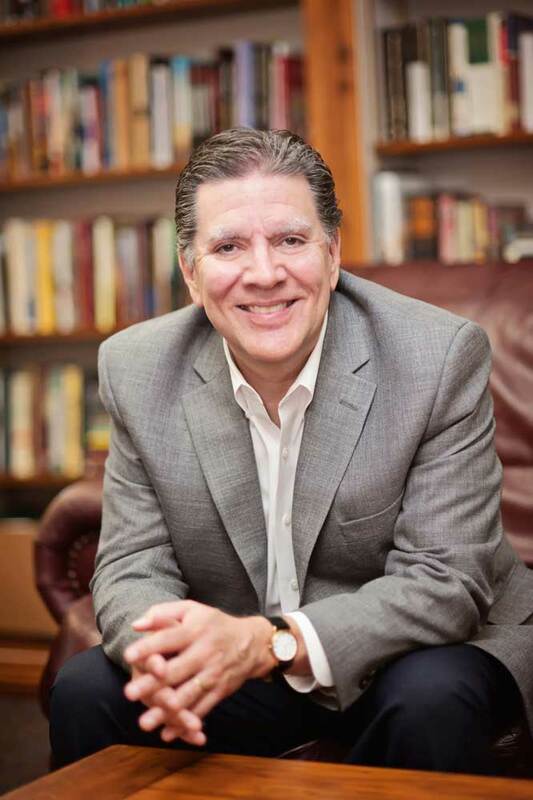 Dr. Brian Shelton advanced from theology professor to dean of the School of Christian Ministries, and he serves now as the chief academic officer of the college. He received a B.A. in biology from Asbury University, the M.Div. from Covenant Theological Seminary, and the Ph.D. in historical theology from Saint Louis University. A Virginia native, Brian grew up in southeastern Kentucky where he learned to love the outdoors. He spent ten years in biology research and then two years in youth ministry before coming to TFC. 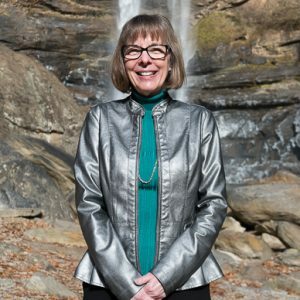 Dr. Shelton is a member of both the Council for Christian Colleges and University’s Leadership Development Institute and the Georgia Governor Teaching Fellowship Symposium. He is also an active member at the Clarkesville United Methodist Church. He authored Martyrdom from Exegesis in Hippolytus: An Early Church Presbyter’s Commentary on Daniel (Paternoster, 2008), Prevenient Grace: God’s Provision for Fallen Humanity (Francis Asbury, 2014), and Quest for the Historical Apostles: Tracing Their Lives and Legacies (Baker, 2018). Dr. Shelton joined the faculty in 2001 and still enjoys the opportunity to teach an occasional theology course. He and his wife, Sally, have three daughters: Annie, Katie, and Maggie. You can learn more on Dr. Shelton at wbrianshelton.com. Dr. Mooney has served in financial management and teaching roles in Christian higher education for nearly thirty years including positions at Cornerstone University, Palm Beach Atlantic University, Bryan College, and University of the Southwest. Dr. Mooney also has considerable experience in the for-profit sector having worked in public accounting with a major corporation. Dr. Mooney has been active in Christian university business officer organizations for more than two decades. She served in volunteer leadership capacities with both the Council for Christian Colleges and Universities CFO Commission and the Association of Business Administrators of Christian Colleges Board of Directors. She has also served on the Small Institutions Council for the National Association of College and University Business Officers. Dr. Mooney holds a BBA in Accounting from Baylor University, a M.Acc. from the University of Tennessee at Chattanooga, and a D.Ed. from Southwestern Baptist Theological Seminary. She is also a CPA. Dr. Mooney and her husband Tim have two married children and two grandchildren. She enjoys reading, bible study, coffee dates with her husband, watching movies with her family, playing with her grandchildren, traveling, and serving in the local church. 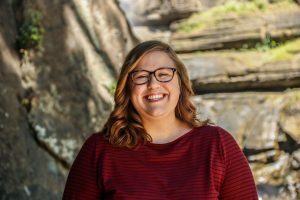 Ms. Abigail Davis most recently served as the Dean of Students over Residence Life and Student Conduct at North Central University in Minneapolis, Minnesota, a private, Christian, liberal arts university with 1,000 students. Abigail has two Master’s Degrees: a Master of Arts in Educational Leadership from Biola University and a Masters of Divinity from Gateway Seminary. She is currently working on her Ph.D. in Higher Education at Azusa Pacific University. A former classroom teacher in the United States, Abigail also taught English in China for two years. Her hobbies include reading, spending time with her eight nieces and nephews, and traveling internationally. She has also completed three sprint triathlons in the last five years. 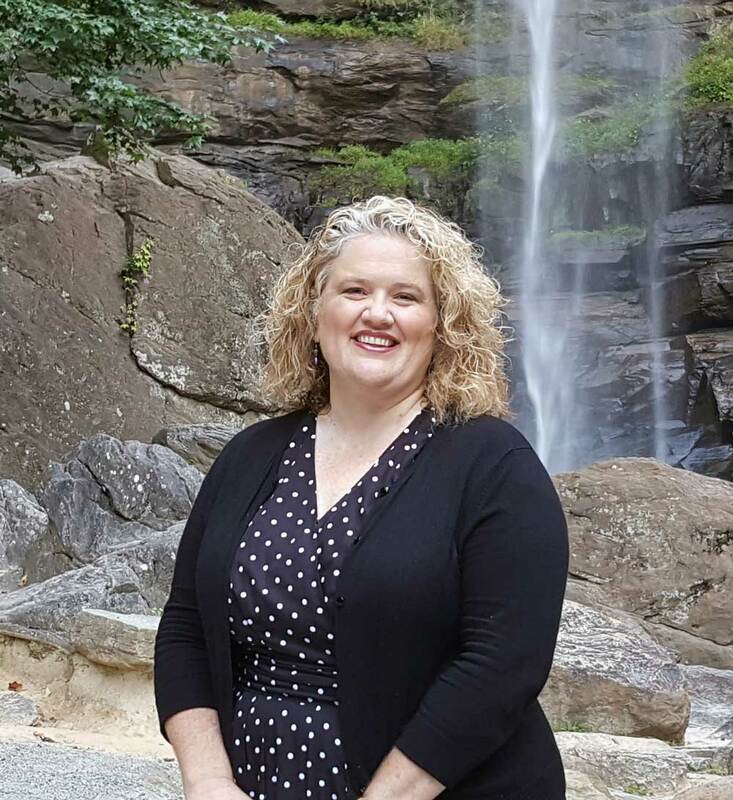 Mrs. Emily Kerr was appointed Vice President for Enrollment Management at Toccoa Falls College in August 2017. She oversees the areas of Admissions and Student Financial Services. Emily has been a part of the TFC community since 2008, graduating with her B.S. in Secondary English Education in 2011. 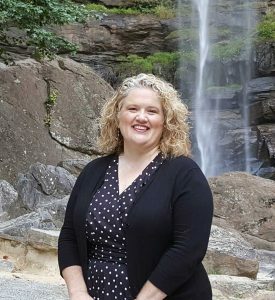 She has served in the Office of Admissions in several roles during her time at Toccoa Falls College: Communication Coordinator, Event Coordinator, and Assistant Director of Admissions. Emily and her husband, Cameron love spending time with family and exploring Northeast Georgia (even though she will always be a buckeye at heart). Mr. Merlin Schenck was appointed Assistant Vice President of Operations at Toccoa Falls College in January 2017. Within his oversight of responsibilities include the areas of Physical Plant, Transportation, Security and Safety, the TFC Print Shop, Mail Services, Camps & Conferences, and the Forrest Guest House. Prior to his current role, Merlin has served at Toccoa Falls College since 1991 in various roles including Paint Department Supervisor, Carpentry Department Supervisor, and Director of Physical Plant (2013-2016). He has specialized training in Asbestos Abatement, OSHA Compliance, and Hazardous Waste Transportation. Prior to TFC, he worked in the construction field for six years. Merlin and his wife, Lisa, have two sons, Jesse & Jordan, and live in Toccoa. Proverbs 2:6 For the Lord gives wisdom, and from his mouth come knowledge and understanding. Kevin joined the TFC Family in 2016 from Goshen College in Indiana where he served in athletics, graduate nursing, and as a special assistant in human resources. 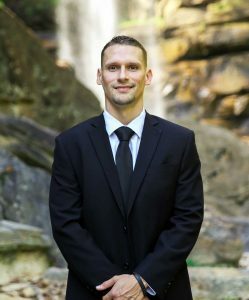 He graduated with his Master’s in health and fitness from USSA, and has served seven years in Christian Higher Education through athletics. 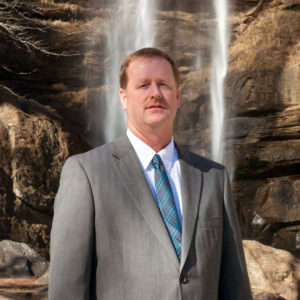 Kevin oversees all of the Toccoa Falls athletic programs with over 135 student-athletes who represent the college. Kevin and his wife, Jamie, have five young children and love all things TFC, especially connecting with the students across campus.